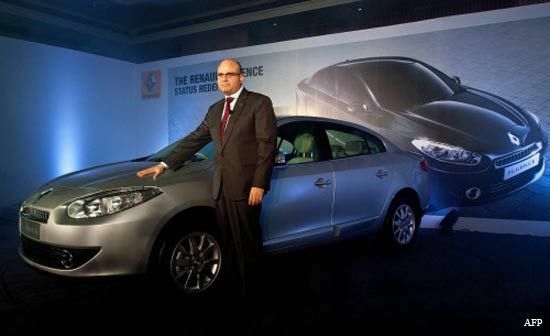 Car maker Renault India today launched a new diesel variant of its premium sedan 'Fluence' in the country, priced at Rs 15.2 lakh (ex-showroom, Delhi). 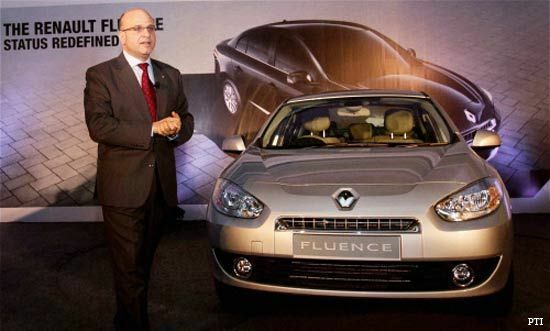 "Fluence was the first offering from Renault in India. The new upgraded variant is about our commitment to the Indian market and is a result of the feedback we received from our customers," Renault India Managing Director Marc Nassif told reporters here. The new Fluence will be powered by 1.5 litre diesel engine, which will give a mileage of 20.4 kilometre per litre, he added. It will compete with the likes of Volkswagen Jetta, Skoda Laura and Toyota Corolla Diesel, which are priced between Rs 15.22 lakh and Rs 16.41 lakh. The company had launched the Fluence in May 2011 and it was followed by two more cars -- sports utility vehicle Koleos and premium compact car Pulse. We had announced plans to roll out five products by the end of 2012. The next in line is our crossover Duster, which will be launched before Diwali, and it will be followed by one more product," Nassif said, adding all the products will be assembled at its facility in Chennai. He said the company is targeting to sell a total of 30,000 cars in India this year compared to about 1,500 units in 2011. When asked about reports that Renault India is looking to set up a new facility in Gujarat, Nassif said: "When we will saturate the 4 lakh annual capacity at the current facility, we will look at expansion. We are open to choosing any location, but when and where, only time will tell". Talking about Renault-Nissan's ultra-low-cost car project with Bajaj Auto, he said Renault India's hand are full with its existing priorities in the country.